Queta is a strategic communications professional. In 2000 she founded Cultural Communications, LLC, a full service multicultural communications consulting firm specializing in community outreach. Her clients include the City of Chicago, the Illinois Child Trauma Coalition and the Aspira Association. The firm has received many awards, including a Gold Quill Award of Excellence (highest international award) as well as Silver and Bronze awards from the International Association of Business Communicators (IABC) and two Golden Trumpet Awards from the Publicity Club of Chicago. Queta has a BA from DePaul University, and a Master of Science in Communication from Northwestern University. In addition, during her formative years she studied at the UNAM in Mexico City. In 2009 she earned an ABC accreditation from the IABC, being the first Latina in Chicago to attain the honor. 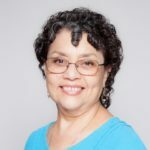 Queta loves opera, Mexican folk music, traveling and good food and wine. She has an active volunteer life, and has served on several non-profit boards, including Amnesty International USA, Chicago Foundation for Women, Metropolitan Chicago Breast Cancer Task Force, Publicity Club of Chicago and Sones de Mexico Ensemble, among others. Having lived in Mexico City, New York and Paris, Queta has settled in Chicago with her multicultural family.